Immune Biotic uses immune boosting herbs to give your immune system a little jump start to fight off this season’s germs. Take for 3-7 days and kick that cold or flu to the curb. Safe for the entire family! 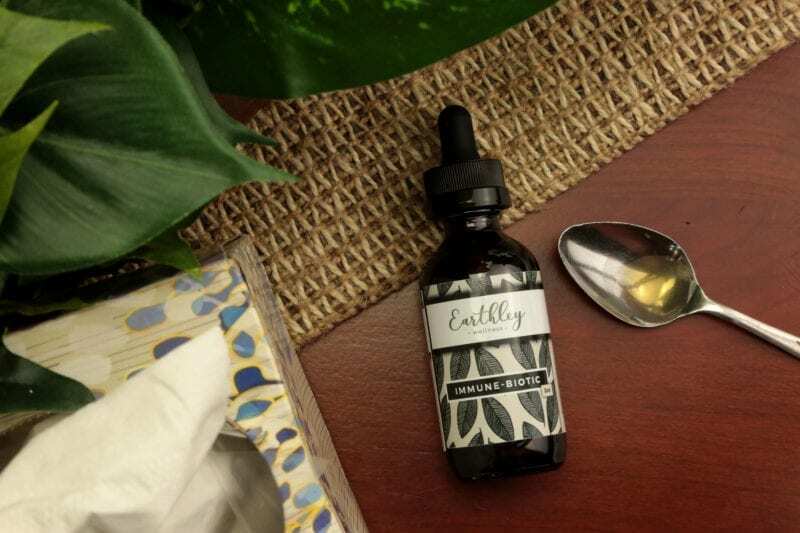 Earthley’s herbal supplements never contain sugar, colors, flavors, synthetic vitamins, or preservatives. Not feeling well? Kick it fast with Immune-Biotic! Boost your immune system with Earthly’s herbal, natural immune system support. Kick your cold to the curb and feel better fast. 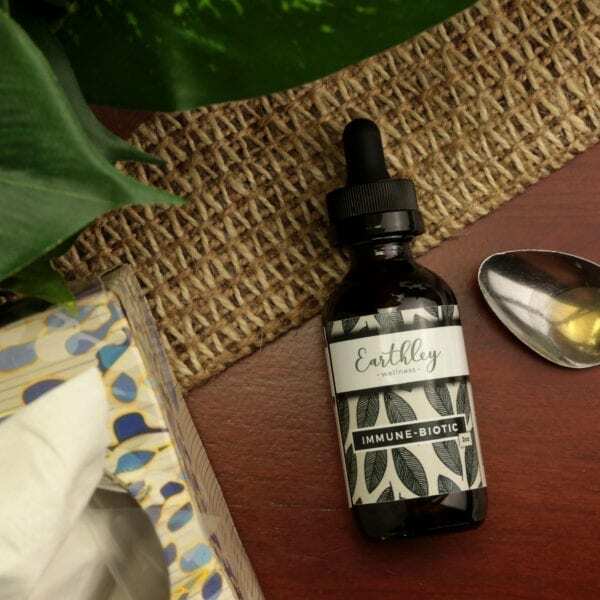 Earthly’s Immune-Biotic utilized nature’s immune boosting herbs and is a must-have in your natural remedies cabinet. It helps your immune system kick into high gear, so that you can fight off whatever little sniffles, tummy aches, and other yucky germs come your way. Every herb is chosen specifically to help your immune system work its hardest and to make you feel better fast! Each immune boosting herb has antiviral, or antibacterial properties to help your body naturally fight off whatever is bothering you. It’s also gentle, making it safe for almost the whole family! 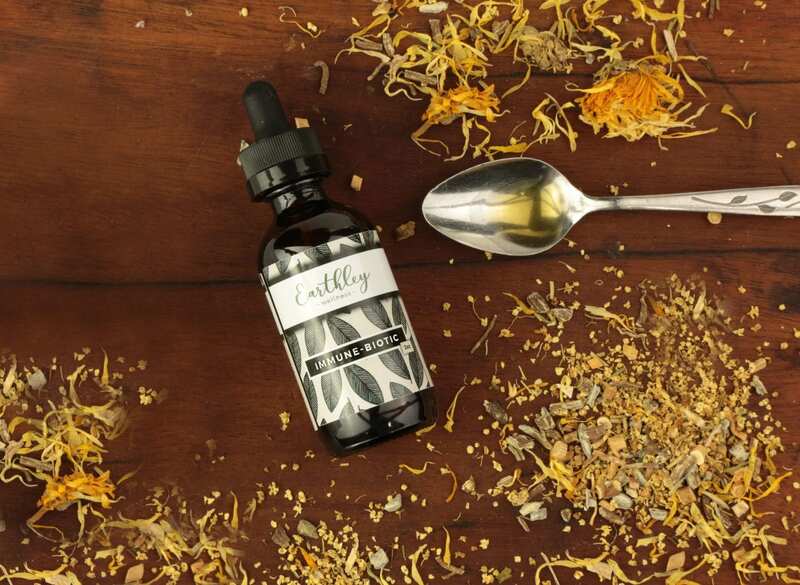 Buy yours now to fight this season’s germs or pair it with our Elderberry Elixir for a 1-2 punch against the sniffles! Immune-Biotic is safe for kids over the age of 2. The whole family can use it when needed, and breastfeeding mamas can take it to help littler ones! If you are looking for a daily way to stay strong, try our Nourish Me Naturally. Take at the first sign of illness. Discontinue use in case of allergic reaction or worsening symptoms. Use for only 3 – 7 days at a time. Safe for ages 2 – adult. Shelf Life: 2 years. Take at the first sign of illness. Discontinue use in case of allergic reaction or worsening symptoms. Use for only 3 – 7 days at a time. Safe for ages 2 – adult.These statements have not been evaluated by the FDA, and this product is not intended to diagnose, treat, or cure anything. I love this stuff! I take it when I notice someone is sick around me. I think it works too! I have used this on several occasions when one member of my family is starting to get sick and so far it seems to have stopped any of us from getting a full blown cold. I started using Immune Biotic about a month ago, and noticed that it improved my mood when I took it! I love that it’s so great for my immune system, since mine isn’t the best having Hashimotos. Works well and I will continue to use it! I ordered this as part of my family’s fall wellness regimen. 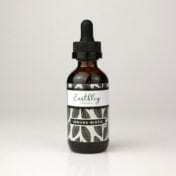 So far this far our family has been threatened will illness several times and using this combined with the elderberry extract, we have been able to beat it down before it takes hold. I give my whole family this at the first hint of illness, or if I know we will be or have been exposed to illness. This stuff is great! It really works. If you take it at first sign of a tickle in the throat or cooties in the house, it will typically keep illness at bay or lessen symptoms and expedite recovery. Feedback on products in general – please consider using a laminated label. I know it’s not as environmentally friendly but the paper labels rub off easily so some of my products I can barely read the label. And is it just me or are the dropper lids harder to open than most child-proof lids – it typically takes me multiple tries to open bottles. I really believe that this product works . I used it during a road trip. We were all feeling the begins of colds but they never developed. I am currently using to fight off a virus that has been going around work. so far so good. I have some symptoms but not nearly as bad as the rest of my coworkers. I truly believe this stuff helped me from catching the nasty illness my kiddo had! I give it a 4 star because I honestly have no clue what child would willingly take it. As an adult I know the taste only last for a moment but my kid thought I was trying to kill him! I assume it could be mixed with something but he wasn’t really drinking anything and I did want to scare him by sneaking it in. I think it’s great for adults!! Doesn’t taste awesome, but that fades quickly. It’s amazing. Took it at the first sign of feeling ill and a half hour later I felt great! This is another of my favorite go to germ fighter. I take it whenever we start to feel under the weather. I’ve given it to numerous friends this cold season too and it’s helped them. This is a must have for you and your family. Every time I feel anything that I think might be a cold or the flu coming on, I my Immune-Biotic and take two droppers full. I keep this up for two or three days and probably 90% of the time whatever it was never actually happens. I like that it doesn’t taste too strongly either, though I usually put it in a glass of water anyway (mainly to hell myeself hydrate as well). Thanks for making such an awesome product! This is amazing! Knocked my cold out in half the time with minimal symptoms! I’ve taken this when I start to feel like a cold could be coming my way. As a teacher, this happens fairly often! Everytime that I use it, a cold hasn’t fully formed. It stops the colds in their tracks! I love this product. Kicks any illness ive felt coming on within hours, and actually improves my mood! Love this stuff! Being a teacher around sick kids for the last month, this has kept me healthy and sane. Immune-Biotic works for me, and I even have my dad using it! I use this for extra support when I feel a cold or something coming on. If it doesn’t stop it, it really reduces the time I spend being sick! I’ve been using this all winter and so have my kiddos. We haven’t had any major illnesses, so I’ll consider that a win! The taste is pretty good too. Every time I have started to feel like I’m coming down with something I have used this and within a day or so have felt better. It is strong tasting but it works. Paired with Elixir with tickle in throat and running and never went and further than that. I bought this during a sick spell in our family this winter. I took it myself and gave it to my 2 year old as well. I feel like it kept things from getting worse. The taste is horrible though. Not what I expected, so mix with juice! Always surrounded by people, this is great to have and take when you know a virus is in the house or you know you’ve been exposed closely to one. Gave this to my toddler when he had a bad cold and he got over it in a few days. The orther people that had the cold lasted over two weeks for them. My go to for building my immune system. Right up there with elderberry. I’ve been taking this along with some elderberry syrup, unfortunately I got sick anyways, too many events where people showed up sick many days in a row. But I haven’t gotten nearly as sick as others and I haven’t lost much energy. I’m hoping this mixture is why! I haven’t used it long enough to say for sure but the best part is it keeps for a year so it’ll be great to have on hand! This has really helped shorten the duration of our colds, and helped my kids get over ear infections quickly. Great for kicking colds quickly (my sister used it), but I felt it was a bit superfluous for us. We eat well and use elderberry so we haven’t gotten sick and actually have barely used it! Awesome idea, we use it when we get sick, a great tool to have in your natural medicine cabinet. So easy to take. It doesn’t taste good, but you take such a small amount of tincture that it doesn’t matter, just chase it with a gulp of water. Works great when we start to feel a soar throat, or a little off. I work with the public and sometimes they come in when sick. I have taken this after a sick customer has been in, and I have not gotten sick at all this year. Our whole family has been using the immune-biotic this winter as a daily preventative. Its been great to help keep our systems strong to fend of all the germs going around. We did catch just a couple things that passed quickly, but were very mild compared to everyone else being down and out. We doubled up on the immune-biotic, eldeberry elixir and vit c. I love these products. I put them in a tiny sip of juice for my kids and they drink it right up. This has helped me through this winter quite a bit. I’ve threatened to get sick, but would up my dosages a bit and everything went away quickly. It’s strong tasting, but it’s ok with a drink. I gave it to my husband one time when he was feeling a little run down, and the next day he was feeling better. He said it tasted terrible though, and this is someone who can eat just about anything. I can hardly believe how well this extract works!! Three times this winter I have felt myself coming down with flu like symptoms: aches, headache, swollen glands, sore throat. I took this right away when I noticed symptoms, a number of times that day. The next day I was perfectly fine! Three separate times! I’m definitely keeping this in my medicine cabinet now to replace the ‘medicine’ that doesn’t work! A few days ago I felt the beginnings of flu-like symptoms. I had body aches, nausea, headache, some congestion and loss of taste. I took 3 doses/day and it never got bad enough to make me unable to look after my 2 year old and 6 month old! It tastes terrible, but only briefly. I put a few drops on a spoon with elderberry tonic for my 2 year old and she never got sick, and never had issue with the taste that way. We started using Immune Biotic this winter and we have been healthier this year than we were the previous 4 years! Thank you! Another great product. I haven’t found anything I don’t like from Earthley so far. My only complaint is that I’d like larger bottles of everything available. Anytime I’ve gotten the sniffles, I start taking this and the Elderberry Elixir and it’s kept illness at bay so far. I love this so much!!! I started using this in January, and I put several drops on a spoon with elderberry tonic for my 2 year old daughter. It’s made a huge difference for us with the last couple of colds we’ve faced. I avoided symptoms altogether, and our daughter is getting over it faster. I can’t wait for my other products to arrive. Helps keep me and my mom healthy. So glad I found it. Hard to take but so worth it! I took it along with the elderberry elixir at the onset of a cold and I truly feel like it helped. I was taking the recommended 30 drops of each (about 3 droppers full of each) and it was really hard to swallow with the taste. Then I wised up and mixed in a tiny bit of juice and it was much better to shoot it all at once. Now this was my first experience with natural remedies so not sure how it compares to others but I feel much better reaching for this over NyQuil. 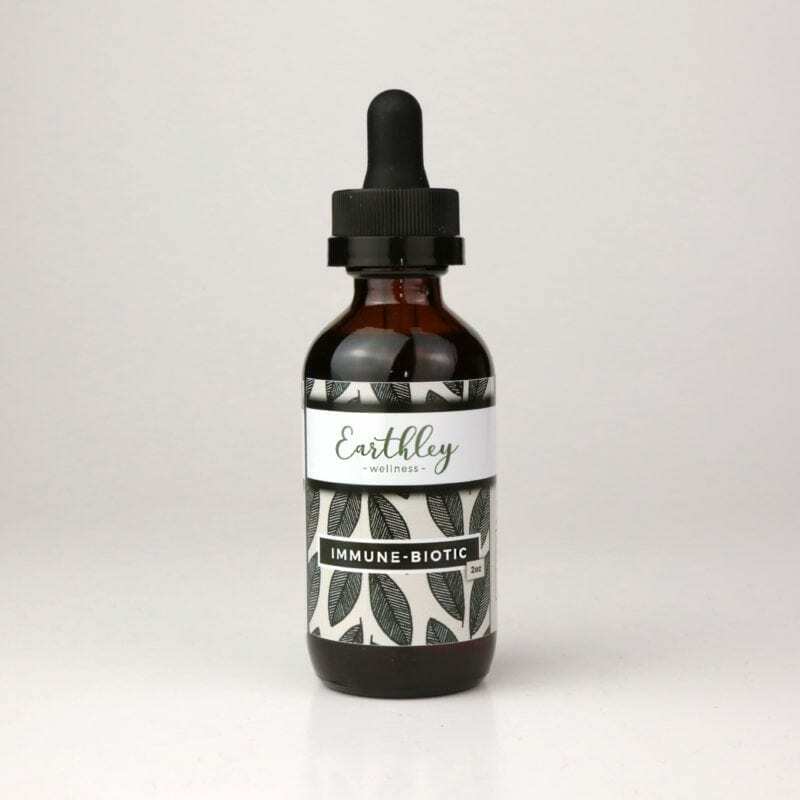 I haven’t needed this very often, thanks to regular use of Earthley’s elderberry tincture keeping us healthy while everyone else was sick! The couple times an illness tried to start, I switched to this, and it took care of it! Taste is strong on its own, but it isn’t noticeable in a bit of juice! Love this product! Helps to boost immune system for sure. It does have a strong taste if taken straight in the mouth. When i feel little more run down or allergies trying to flare up i take some for a few days, and that same day that crummy/sorta sick feeling goes away! I could see a big difference in how I felt when I took this while I had the flu. It got much easier! I’m a Respiratory Therapist. Exposed to LOTS of bugs daily. I take Elderberry Elixir all winter long & took Immune Biotic during the height of flu season. Not sure if I got the flu, but the 3 days that I felt cruddy was nothing compared to the full-blown flu. I believe the Immune Biotic saved me a lot of misery! We pair this with the Elderberry Elixir whenever someone starts to get sick in my family and it always helps to stop the spreading! Those two tinctures are a great duo. This stuff knocks my colds out in a couple days. Without it they linger for a week or more. Add the elderberry elixir and I’m better quick! Love this stuff! Its natural and has such a great effectivenss! Ive only been sick once so far this year and that was before I started taking this immune booster. I use this every day when traveling and then anytime ill be around sick people. Its amazing! Taking this and practicing clean and heathly ways of helping my body stay strong is so important to me now. As well as for my family! A must have! I love this product! When we are around sick people we have more protection. The taste is strong, but not terrible. I don’t know what to say that hasn’t already been said about this stuff- it’s gross, but fantastically effective! This stuff kicked my oncoming cold in 24 hours! Wow, this stuff knocks out sore throats FAST!! I am very impressed. We always have this on hand! Anytime someone starts to get sick, we all take it. So far so good!!! I add to juice or tea. This stuff works great! It has a nice mild taste compared to some of the alcohol based tinctures. 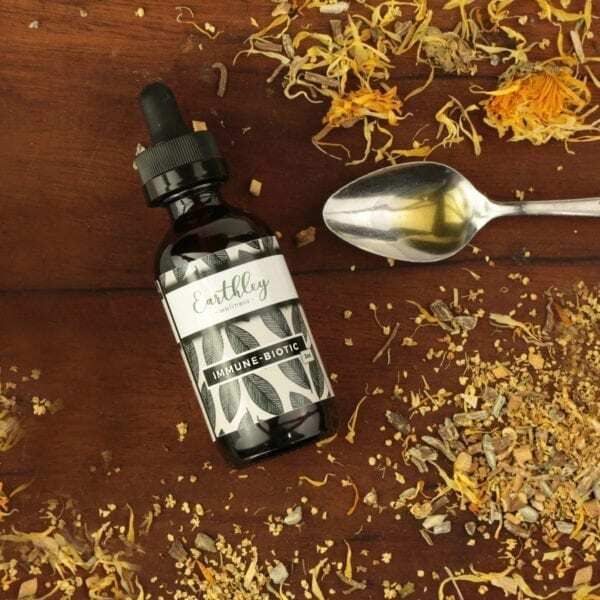 I normally use this along with the elderberry elixir as a one-two-punch when I’m on the the verge of a cold and when I use them both together, the cold gets kicked out before it can get started. I love this product. Great immune booster. The only thing that I wish is to have one same for kids under 2 yr old. My son is 15 months old, just wean himself (so before it was great passing through the breastmilk), and he just got a cold but could take it. I’m sure it would have helped him! Both times I started with the scratchy throat and sniffles this nipped it in the bud! Thanks for another great product! This is one of my must haves for sick season! We use it to boost the immune system when we are going to be around people as well as when we are sick. It has a strong taste so I always mix it in orange juice. Great product! Helped keep us healthy during multiple exposures to coughs, colds, etc, while traveling around the country. I’ve taken some when I’ve felt the tickle of something in my throat wanting to break free and become a full blown cold. Immune Biotic stops it in it’s tracks and I haven’t gotten sick. My husband travels a lot for work which means he’s exposed to a lot of germs. He recently brought home a nasty cold virus. I took this along with the elderberry elixir a few days while he was recovering and both my 13 month old (she’s breastfeeding) and I never caught it! He couldn’t believe it and so the next time he got sick, he used the tinctures as well and recovered at a much faster rate! I ended up ordering a bigger bottle to have on hand. I’ve been really impressed by this tincture. I used it when I had a cold, in conjunction with the elderberry elixir and cough be gone, and I felt better much sooner than I usually do. The taste isn’t my favorite, but add it to a little juice and you can’t tell the difference. I ordered this to have on hand and sure enough I caught the bug my son had. By taking this and the elderberry it wasn’t as bad and I was able to get better quicker! 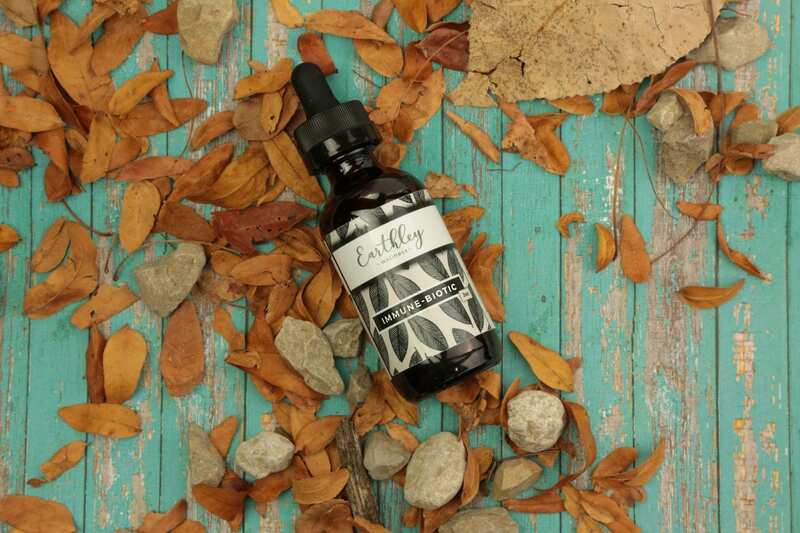 Earthley makes wonderful products and great products. I always have this on hand when something is going around. Yes all tinctures made of alcohol have a strong taste that dont taste the best, so just put it in a little water or juice. I just put it in my mouth and then a sip of water.